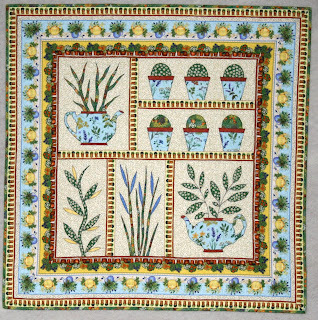 I have learnt recently that Makower have commissioned Anja Townrow to design a patchwork quilt using fabrics from my “Herb Garden” Collection. It is always a great thrill for me to see how others have used my fabric designs to create their own unique works of art. I am not much of a quilter myself, although I have managed to finish a few small projects, so I have been really interested to see how Anja has realized her design. 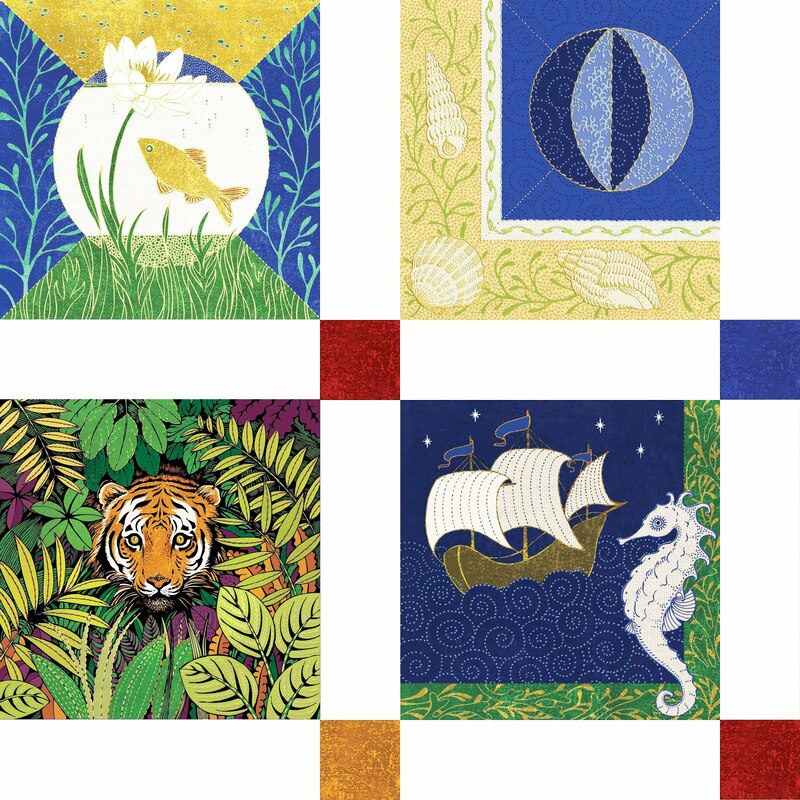 If you feel inspired to create your own quilt you can have the pattern absolutely free of charge by following the link in my sidebar or by going to the Makower website. There you will find instructions and information about sewing the quilt, if you do not have the time to do the whole quilt it might be nice to make a smaller cushion using part of the pattern? Anja is a professional quilter with her own website called Dutch Quilts. 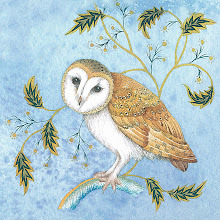 She was born in Holland and has lived in England since the seventies when she started to make quilts after being inspired by a picture in a magazine. 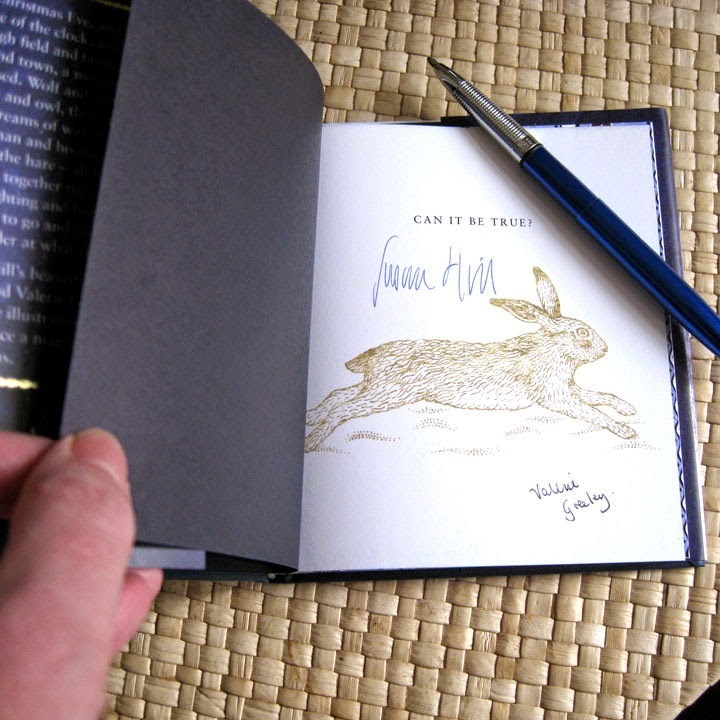 I am sure Anja’s work will in turn inspire others as her work is regularly featured in exhibitions and publications. 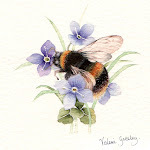 The website is well worth a visit, there is a gallery of quilts, information about books, workshops and free patterns. The fabric designs are in the Makower warehouse now and are ready to ship so should be available this month. I have samples here and am delighted by the quality of the printing by the craftsmen in South Korea who have the seemingly impossible task of registering as many as eighteen different screens without loosing definition. 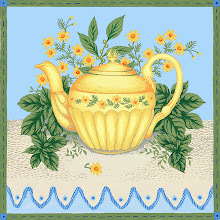 I think my favourite design is the blue botanical design, which Anja has used in her teapot appliqué, in fact teapots feature quite a lot in this collection, it must be something to do with living near to Stoke-on-Trent! 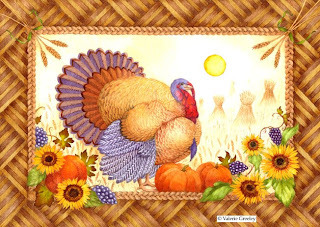 I would like to wish everyone a very happy Thanksgiving if you are celebrating this week. We do not have this tradition here in Britain but I know plenty of people who will be getting together for the holiday, so for all of you, have a good one! 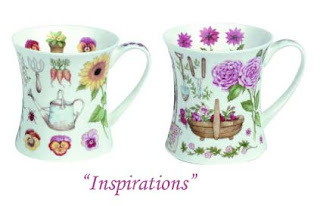 I have been busy working on a new collection of designs for bone china mugs. 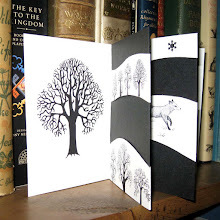 The new designs will not be available until early next year and I cannot show them to you at the moment, so, instead I am showing two of my designs, which are currently in production. Hudson and Middleton Ltd will manufacture the mugs in Stoke-on-Trent and on Monday of this week, I drove over to Longton to deliver the artwork. 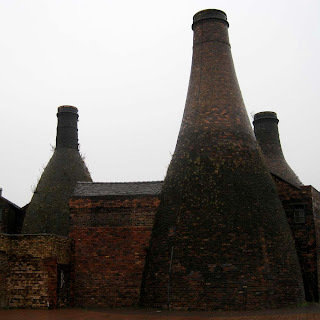 To visit this famous potteries town is to take a step back in time and whilst I was there I thought that I would photograph some of the old bottle kilns at the Gladstone Museum. Bottle kilns were once a very familiar feature of the area, now only a few remain and they are being preserved for posterity. 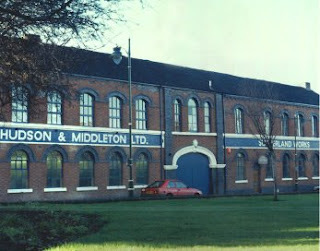 The Hudson and Middleton factory is still manufacturing English Bone China in a factory which dates back to the Victorian era and operates from it’s original grade two listed building and is one of the oldest potteries in the country. Over the course of my career I have seen many of the famous potteries close with the loss of thousands of jobs. Many of the ceramic companies have moved their manufacturing to the Far East but I am pleased and proud to say that my mugs will be made in Stoke-on-Trent, England. 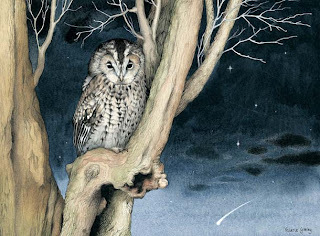 The inspiration behind this illustration from "Down the Lane" was the sighting of a "shooting star" which zipped across the night sky in November. I grew up in a fairly built up area with yellow street lights and so had to wait several years before I first saw a shooting star, which I since learned are not stars at all but meteors. If you were lucky enough to be in the Northern Hemisphere and had a cloud free view of the November sky recently, maybe you caught sight of the annual Taurids meteor shower which occurs in the region of Taurus? I think it is a great pity that we have so much light pollution in our towns; most city children are unaware of the night sky. There are few things more inspiring and challenging than contemplating the universe. On our way back from holiday in August this year we visited the Somme. We had enjoyed a family reunion with our two adult sons but they had chosen to fly home, leaving my husband and I to enjoy the drive back at a slower pace. As we drove through the Somme the sky darkened and a deep gloom descended, it seemed to me that the summer ended there in that strange, deeply scarred landscape. 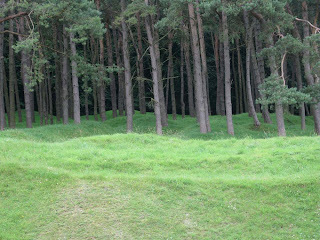 We decided to visit Vimmy ridge and to see something of the trenches and war memorials. 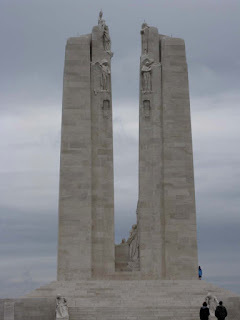 I cannot imagine the terrible hardship and suffering endured by so many of those young soldiers, I am so grateful that we did not live in those tragic times and did not have to wave goodbye to our menfolk. 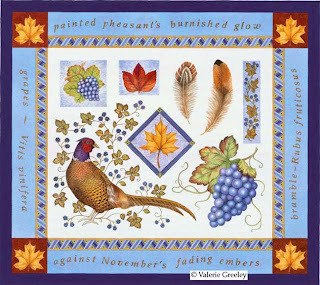 Here is my offering for November, it is part of a series of work which I call "Illuminations of Nature" A series of twelve decorative panels, one for each month. Now is the time to see pheasants in the countryside, I am not sure when the shooting season starts but I guess it must be about now. There is something very autumnal about their colouring don't you think? Maybe mother nature painted them to blend in with the hedgerows so they would have a sporting chance to avoid being shot? If you click on the image you will see it more clearly.